It’s a big responsibility to take care of employee relocation needs. A reliable moving company with professional movers for a fast and easy experience is hard to find. Thus, look no further than All Around Moving Services Company, Inc. With offices in New York City NY and Miami Florida, we arrange comprehensive relocation and a full range of moving services. Founded in 2003, we are known for arranging and providing top-tier services to a roster of global blue chip clients. Our reputation makes us the partner of choice for clients seeking VIP service as standard. Therefore, taking responsibility for the smooth management and positive relocation experience of your employees is the core of our service delivery strategy. We have the tools to provide an impeccable global relocation service. We have years of experience in the Moving Industry and a record of only succesful moves and excellent customer service. Additionally, we recruit the best staff in the international relocation industry, and train them to be the best. To be the best, we need to be more than just a relocation services company. That’s why we get to know our clients’ ambitions and goals, just as well as we know our own. Aside from employee relocation, we offer a variety of moving services. Including, long distance, local, commercial, and International shipping. We keep all moving services you need under one umbrella. We take care of your move wherever you need to be, and whatever the relocation package. Our friendly and professional representatives will support you at every step. 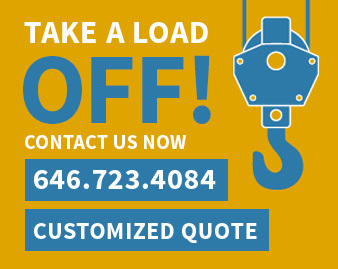 Call us today for more information & fill out a quote form here.